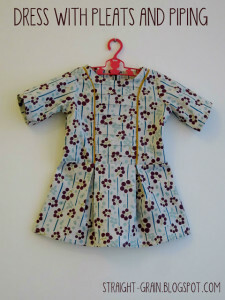 Thanks for stopping by for another amazing Basic Bodice tutorial by one of our blogging fav’s, See Kate Sew! If you haven’t had a chance to visit her blog, you’re missing out. Her blog is chocked full of amazing tutorials, unique ideas and of course, she’s got great style! 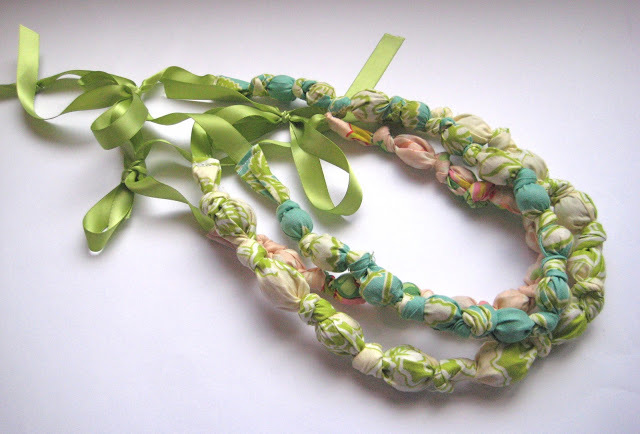 You’ll for sure want to pin some of her creations for inspiration! And the Sweet Scallops Tote. 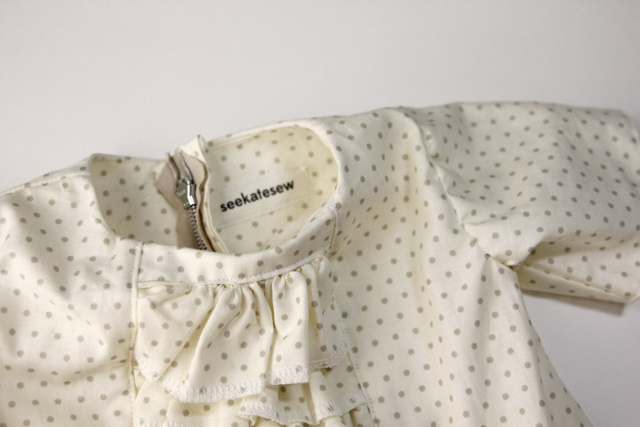 I WILL be making these for my two cute girls…I love a good scallop, and while I’ve never sewn a scallop anything before, this is definitely a perfect place to start, don’t you think? This series is so much fun! 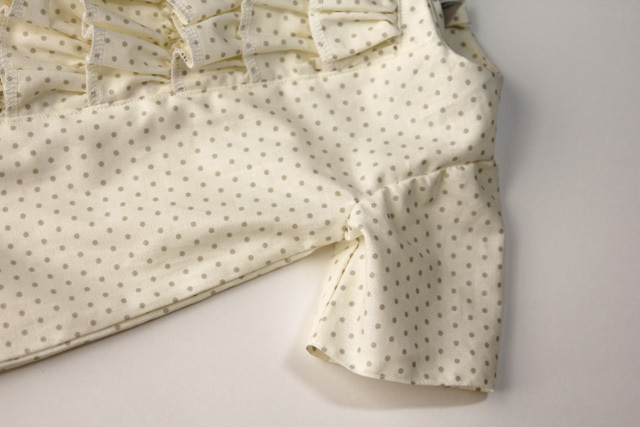 Pretty much everything I design starts with a basic bodice, so it wasn’t hard to come up with another variation. 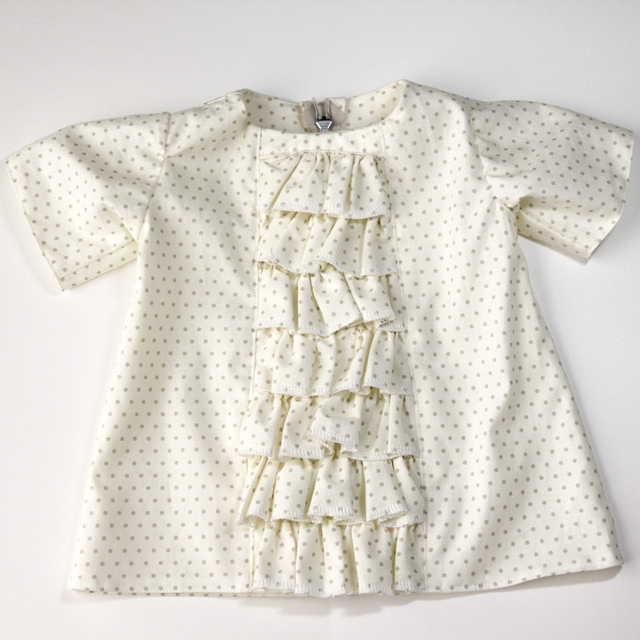 This little dress has a panel of ruffles down the front. 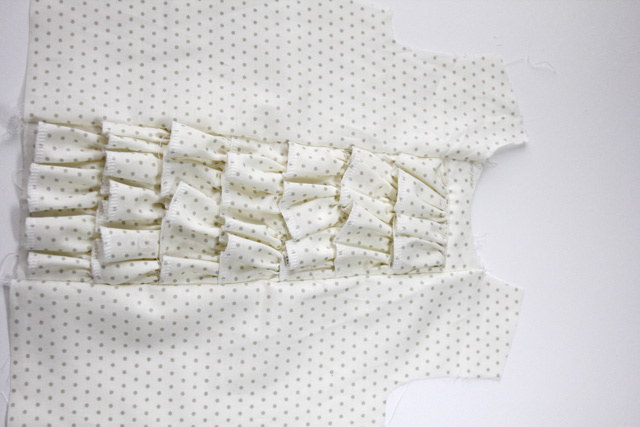 Lengthen the basic bodice piece to turn it into a dress. 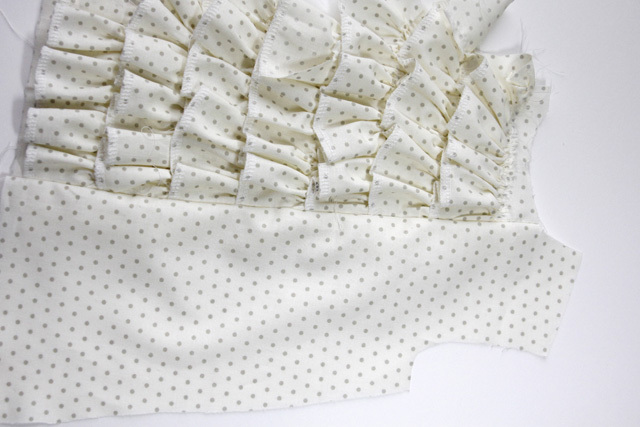 Draw a new side seam by drawing line out from the underarm corner to give the side seam a little more flare. Next, draw a line down the front to cut out a panel. 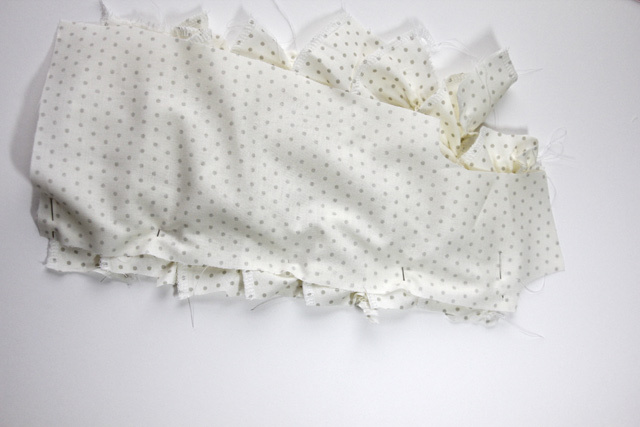 After drawing that panel, trace your new pieces onto separate pieces of paper and add seam allowance to both new seam edges. 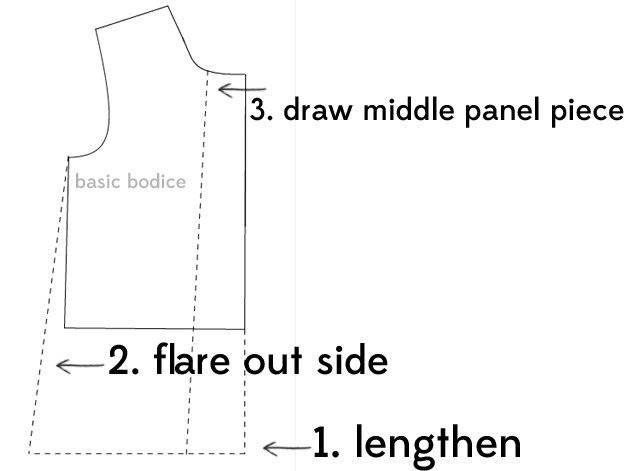 For the back bodice piece, lengthen it into a dress and flare out the side seam to match the front. 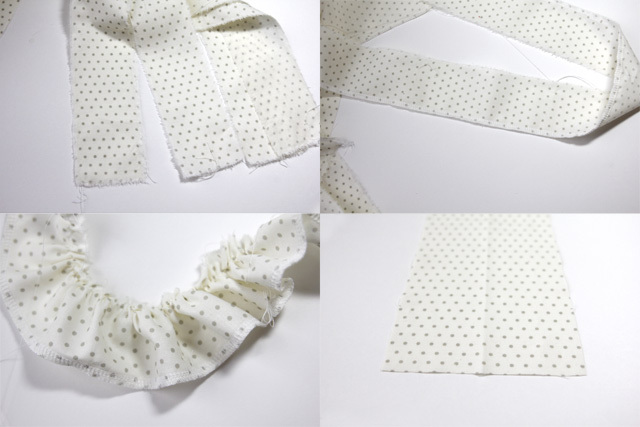 Cut out (or tear) strips of fabric for ruffles. They should be about 2 1/4″ wide and as long as possible. Serge the bottom edge of each strip (or use a zig zag stitch). Gather the top of the strips. 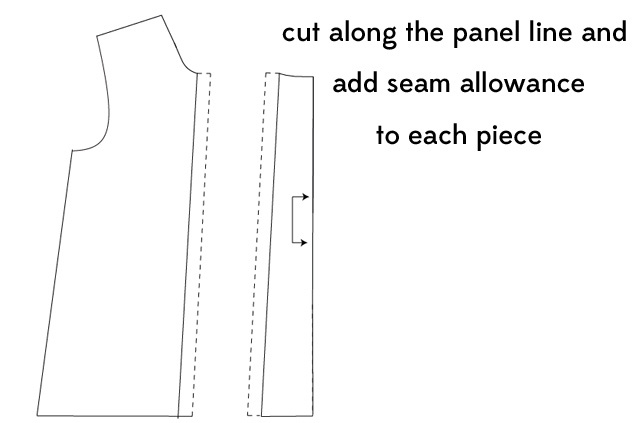 Lay out your panel piece. 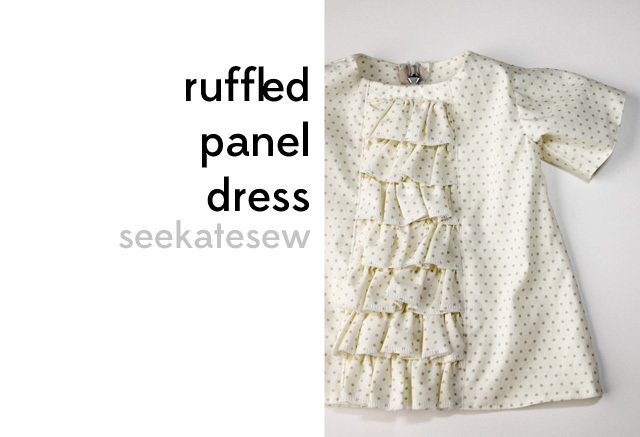 Gather the ruffles as much as you’d like and pin the first one to the bottom of the panel. Stitch it on. I used a zig zag stitch along the top edge. 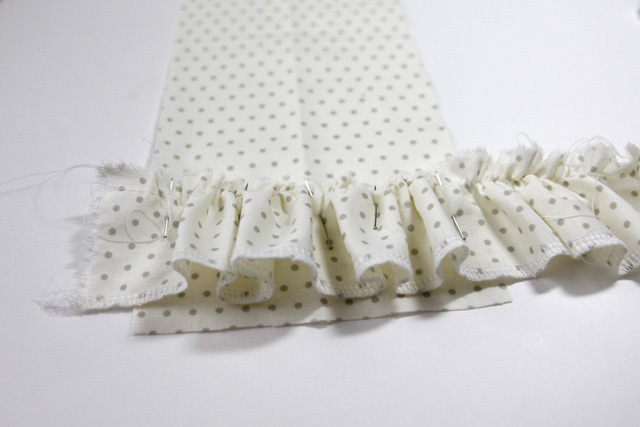 Then pin and sew the next ruffle above the first. Make sure to overlap the raw edge of the first one. Keep going until you’ve reached the top. 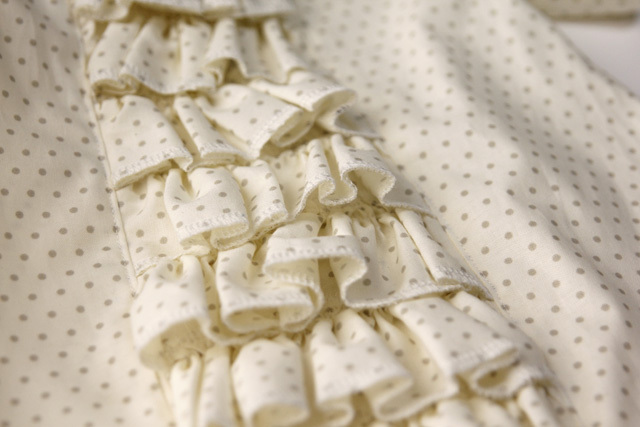 Fold over a scrap of fabric and sew it over the top ruffle to cover the raw edge. 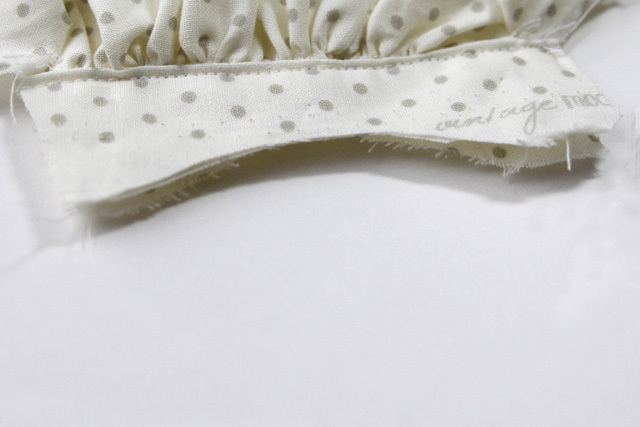 Trim the fabric to match up with the neckline of your bodice. 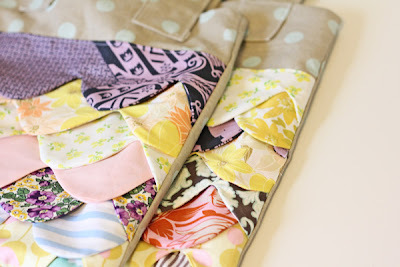 Then lay the side piece on top of the panel and sew them together. 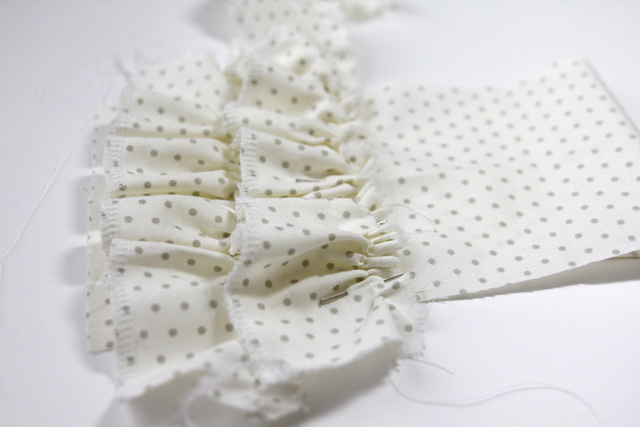 Then finish the seams, press the front and topstitch along the panel seams. 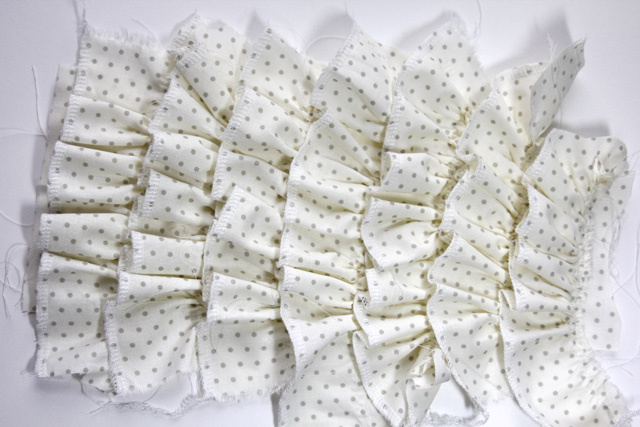 Once you have the ruffled panel all ready, finish the dress like a basic dress. 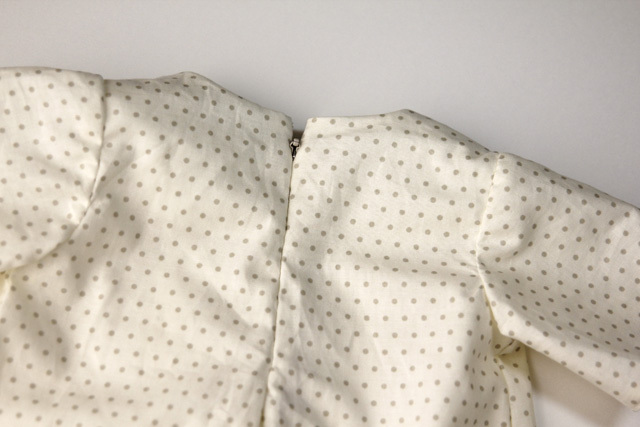 Face it, add sleeves, finish the hem and add a zipper. Then you’re done! Thanks for having me Jen + Autie! 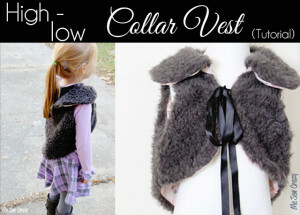 You can also find see kate sew on Facebook!